Dhokla is a protein rich steamed bread I say. Chickpea flour is a great ingredients to make everyday breads and pancakes of the sweet and savory type. This dhokla makes great use of besan or chickpea flour and gives excellent results with a gujrati tempering. 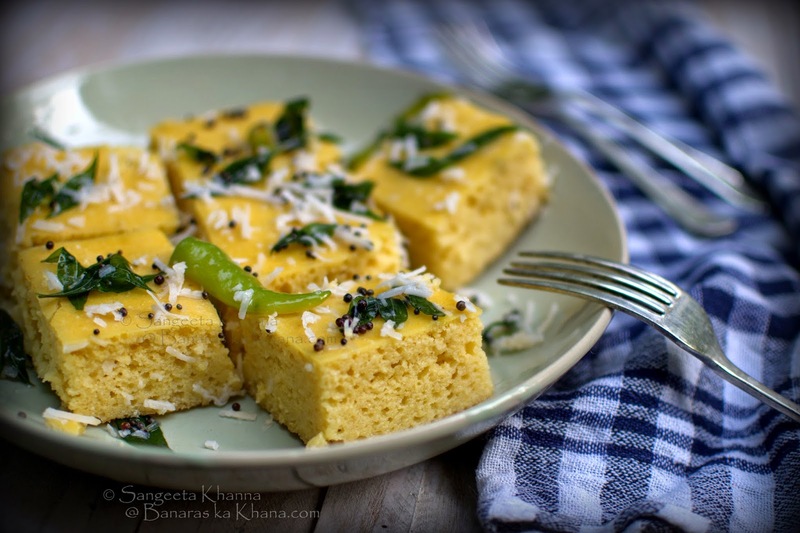 Dhokla is nice as an evening snack, quick to make and light on the tummy. Apart from this when my energy level drops in the evening, this yellow energizing color perks me up, the sweet and sour flavor with that hot chilly kick in between is surely a mood elevator. I have been advised to use more yellows and oranges in my daily routine to keep my energy levels up. By those standards this is a recipe which is appropriate to be here. A break from green monotony, I have been posting only green recipes here. fill water in a deep pan , preferably idly or momo steamer, and grease a flat cake tin. now add the soda bi carb and give it a quick mix ....the consistency should be like that of cake, and immediately pour the batter into the tin, place it into the steamer and steam for 8-10 minutes or until a skewer comes out clean. dhokla can be made in microwave but it get all dried up and chewy, small dhoklas come out well in microwave, may be a cup of batter can be microwaved in a plastic bowl with lid for 2 minutes. let the dhokla cool , cut pieces only when it is completely cold, otherwise the pieces don't come out clean............ in the meanwhile prepare the tempering .............heat oil in a small pan, throw the asafoetida and mustard seeds into it , when they start spluttering , add the curry leaves and green chillies, wait for a minute and pour water in it and sugar and let it boil..........lastly put in the lemon juice and pour this sweet n sour water over the cooled and cut dhokla pieces....wait for a while till tthe pieces soak all the water........now it is ready to serve. yummy,Home made dhoklas certainly must be fresh and healthy,we sometimes buy frozen. 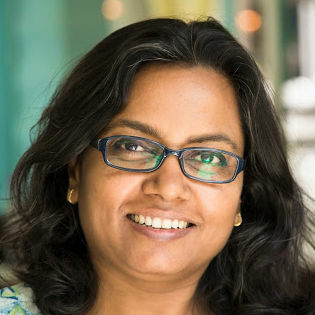 sangeeta ...shokla some time become stiff..hard... wts the key points to make sure it remains soft?? Hey Sangeeta, do you have the dhokla recipe in grams? do you use a normal coffee cup? Thanks anonymous for trying the recipe..